Michael Free born 1964, wife Marcia, living and working in Greeley, CO, Rebecca (Free) Shonle born 1967, More…passed away Jan. 6, 2010, her husband John, children Joseph, Stephen and Anna, live in Beavercreek, OH; Timothy Free born 1969, wife Julia, children Roger, Shawn and Alex, living in Seaford, DE; Lottie Nita Siitchaq Free Smith Carter born 1989, Alaska Native, living in Alaska. 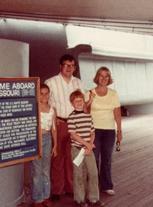 My mother, Margaret Wilt, passed away August 2, 2014 20 years after my dad, Kermit, died om August 3, 1994. Some classmates may have had them as a teachers at John Deere. I was happily married to Roger Free until he died from lung cancer in 1986. We lived and raised our three children in Moline until then. In 1987 I moved to Alaska to live with a long-time friend, Annette Smith. We had many Alaskan adventures together. She died April 24, 2009. In 2004 we adopted a beautiful native Alaskan girl, Lottie. I taught in Moline, Bettendorf, and Willow, AK until I retired in 2006. Now, I share my Moline home with Johanna Johnson who I married on Sept. 26, 2014. We also have a vacation home on a lake in Hayward, WI. It's peaceful and also great fun. We have lots of room for visitors and love to share with friends and family. I loved the things we did our senior year like an Easter egg hunt for Halloween. The musicals, "Lil Abner", "Oklahoma", and "Pajama Game" were a big part of my high school years. Also, football games were a big part of Roger and my year. 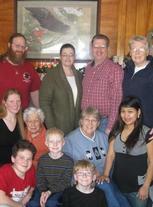 Linda M Wilt Free added a comment on her Profile. Linda M Wilt Free posted a message. Happy birthday!!! I hope you have a great day. Happy birthday Jay! I hope you have a great day. Say “Hi” to Marcia too. Linda M Wilt Free posted a message. New comment added. Happy birthday Pam! Thank you so much for your help in planning. “See you in” October. Linda M Wilt Free has left an In Memory comment for her Profile. I have been good friends with Marcia since John Deere. We were in the same home room there. We have shared many things over the years. I will miss her. Happy belated birthday Rick. I hope you had a happy Thanksgiving birthday! Happy birthday Jan! I hope you’re having a great birthday. Happy birthday Diane. I didn't realize your birthday is today. My dad's birthday was Sept. 3rd too. 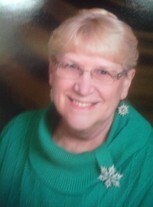 Linda M Wilt Free added a comment on Patricia M Carlson Simon's Profile. Happy birthday Wes! I hope you have a great day. How's Mary Kay? Linda M Wilt Free has a birthday today.